Gunnison County residents will soon have a new way of purchasing discounted prescription drugs, thanks to a collaboration between the county, the National Association of Counties (NACo) and Caremark, a pharmacy services provider. With the NACo Caremark card, county residents will be able to save an average of 20 percent off the normal retail cost of prescription drugs. Gunnison County senior resources coordinator Karin Stewart, who will administer the program, says she expects to be handing out the free prescription drug cards within two months. “We’re still anticipating availability of the card on March 1,” she says. According to Stewart, anyone who lives in the county is eligible for the free card and no identification will be necessary to obtain one. After March 1, Stewart plans to distribute the cards throughout the county. 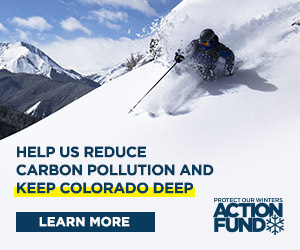 “We’ll make them available at doctor’s offices, the hospital and the county public health offices, including the county’s satellite office in Crested Butte,” Stewart says. The program is made available through NACo, of which Gunnison County is a member. The cards are accepted all over, including Gunnison’s City Market, Wal-Mart pharmacies, the Gunnison Family Medical Center and the Elk Avenue Medical Center in Crested Butte. Gunnison Board of County Commissioners chairman Hap Channell said counties across the state are using the card; he praised the program because of its ease. He said there is so little administration involved the card program wouldn’t cut into Stewart’s duties as senior resource coordinator. “And it’s somewhat of a no-brainer, because it’s free,” he added. Jim Philipps, the media manager for NACo, says the card is one of the benefits for counties that are members of NACo. “It’s a member benefit,” he says. Philipps says since there are no fees or forms to fill out for the card user, it is especially easy to use. “It’s a hassle-free program,” he says. Through Caremark, the costs of prescription drugs are negotiated with the pharmaceutical companies, allowing the drugs to be distributed at lower cost, according to Stewart. Participating pharmacies benefit by being party to the card-directed sales. “It encourages people to use the participating pharmacies,” she says. Stewart says the county does not incur any costs to participate in the program. Hundreds of counties nationwide are part of the program, including more than a dozen in Colorado. There’s no limit on the number or type of prescriptions that can be purchased, but the card may not be used in conjunction with any insurance or insurance discount. One card works for an entire family, and it’s even good for prescription drugs for pets. Information on the card is available in English and Spanish. Stewart says there is really no downside to the new county program. “We’re excited to be able to offer it,” she says. A similar program—the Colorado Drug Card—is also available for free at City Market. The Colorado Drug Card discount, however, is accepted locally only at the City Market Pharmacy. Like the NACo card, no identification is required to obtain the Colorado Drug Card.